Our range of products include bursting strength tester, box compression tester, tear strength tester, humidity chamber and core and cone compression tester. 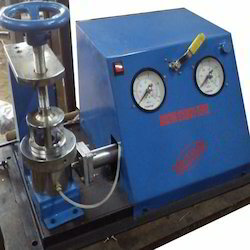 We are offering Bursting Strength Tester is suitable for fabric, leather, paper, paper board. It is available in different ranges of models. These products are widely accepted due to its cost-worthy price range in the market. 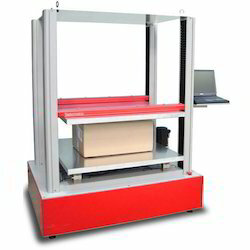 With wide and rich industrial experience, we are able to offer a wide range of Box Compression Tester. These testers are manufactured in accordance with international mechanical standards and compliances. Our products are significantly featured with bright chrome plating and dark gray metallic paint. It is mostly used for the accurate cutting of fabrics, paper, flooring. These testers are available at a lesser price. 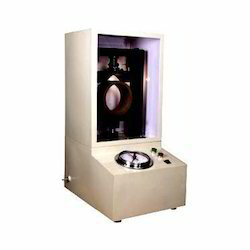 We offer Tear Strength Tester. We ensure our ranges of raw materials used are of superior quality and durable. It has an adjustable knife is also mounted on the pendulum upper bracket is centered between the two clamps and is used for making the initial slit in the test specimen. These products are tagged with cost-worthy price range. Catering the needs of paper & board industry, we offer Humidity Chamber to our esteemed clients. Humidity chambers are used after the process completion on the paper or board the main task of this chamber is to remove the moisture level in the sample. Indicators : in panel indicators are given for indicating the working of machine. Front Door : the door is double walled for insulation with mirror for inner views. 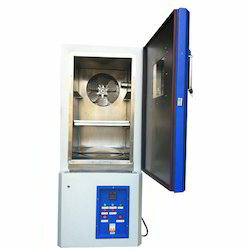 We are offering Core and Cone Compression Tester which is used to test the paper tube compression strength (collapsing strength) by the force of air pressure and the pneumatic cylinder with control hand operated valve. Pressure is shown by the pressure gauge with fixer pointer in unit kg/cm2. After rupture the cone/tube the fixer pointer stops and shows the gauge reading in kg/cm2. Different jig will be used for different size of cone/tube. Maximum load capacity 1000 kgf. Provides in-house quality control system at affordable price. Highest degree of consistency and reliability.